When I get to this day on the calendar, I know it’s going to be a good day. I know it’s about to be a time for looking up memories and fun times from the Salon Owners Summit and because of that, I can’t help but smile. So, just like last year, this Salon Owners Summit 2018 Recap is a tribute to you, our amazing clients. Hope you enjoy! This year’s Summit theme was “Great Starts Here.” For the occasion, Gavin Hoare, Steve Martin, Valerie Delforge and Tabatha Coffey showcased how you can harness the power of your passion and elevate yourself, your team, your salon and your industry. 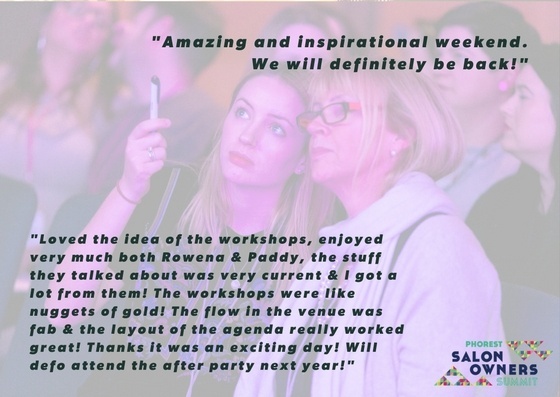 In the workshops, the newest addition to the Salon Owners Summit, Rowena Doyle spoke about visual merchandising, Chris Brennan gave a talk on work/life balance and Paddy Monaghan delivered his session on GDPR and its effects on salons. … And of course, we’ve also uploaded all the photos from the event, click here or on the post below to check them out! Missed this year’s event? The Salon Owners Summit is exclusive to Phorest Salon Software clients. However, Killian Vigna (Education Research & Development) and I were at the Convention Centre Dublin on the day and recorded a podcast full of insights! Tune in below and join the list of esteemed guests for the Salon Owners Summit 2019! Simply request a free quote or demo of our software! 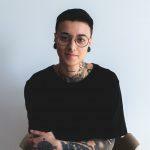 Tune in weekly for a mix of interviews with industry thought-leaders, roundups of our most recent salon owners marketing tips & tricks, all the latest in and around Phorest and what upcoming webinars you can join. Phorest FM is produced every Monday morning for your enjoyment with a cup of coffee on your day off. Feel free to let us know who or what topic you’d like to hear on the show! 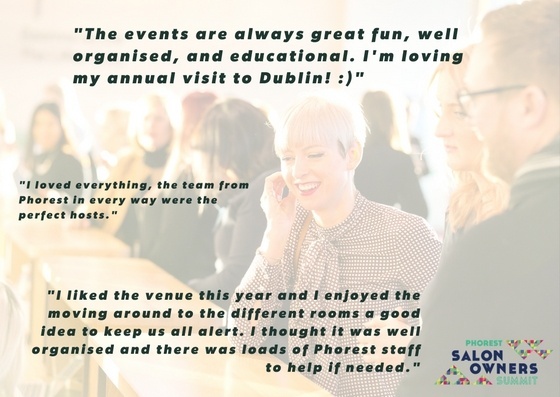 From everyone here at Phorest to all of the Salon Owners Summit 2018 attendees, thank you so much! We’ve been getting amazing feedback and are already excited to step it up again in 2019! For everyone who missed it, see you next year! Now go and tag yourselves on the Facebook photo album! Featured imaged by Alan Rowlette. © 2018 Phorest Salon Software. Salon Owner's SummitThe Salon Owners Summit Roadshow Is Coming To Chicago!